On Sunday, August 5th at 10:31pm (Pacific Time) the newest Mars rover, Curiosity, will touch down on the red planet. I’m going to be hosting a landing “watch” at the Kenney, where we can all watch the folks in Mission Control bite their nails and wait for the signal telling us that Curiosity has landed safely. Come around 10 to get settled. Where: The Kenney, just down the street from my usual solstice gatherings. Technical difficulties on our end, hopefully only minor ones on NASA’s side. We’re going to turn on the internet and NASA TV and watch it together. Think Superbowl Party, Martian-Style! 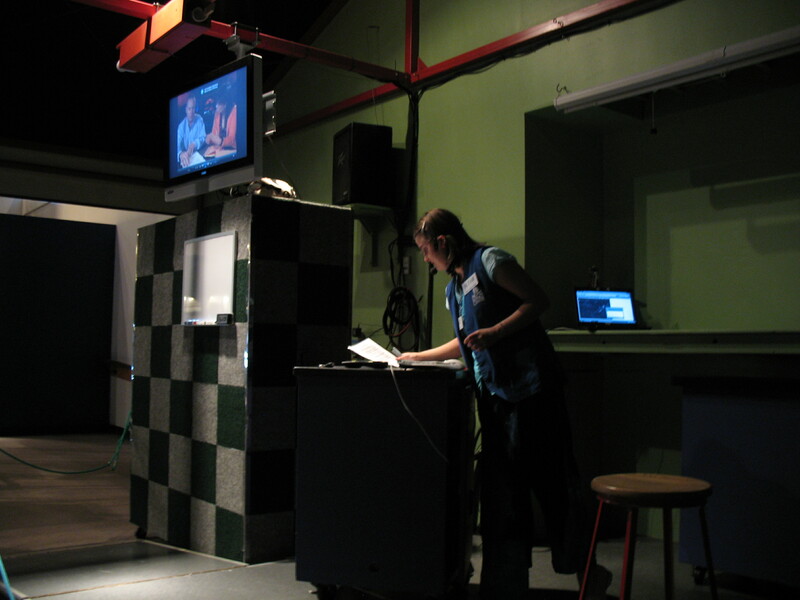 An Image from my last Mars Landing Party – Phoenix in 2008 at Pacific Science Center. Most of what we’ll see is interviews with the scientists who put Curiosity together, followed by some intense waiting while we hope for the signal from Mars to get through. We’ll talk through an animation of the landing sequence as it should go, as well as discussing the obvious points where things might fail. If we’re lucky we’ll have a photo from Mars by 11:30pm, or at least confirmation that the landing was successful, but if not then it might be several more hours. At 11:30pm I’ll be sending you all home to your own computers to wait for further images. (You’re welcome to meet up with me on Twitter @AlicesAstroInfo because I’ll certainly be staying up a while longer). I’ll be there to answer questions, and I might have door prizes. Maybe, no promises. 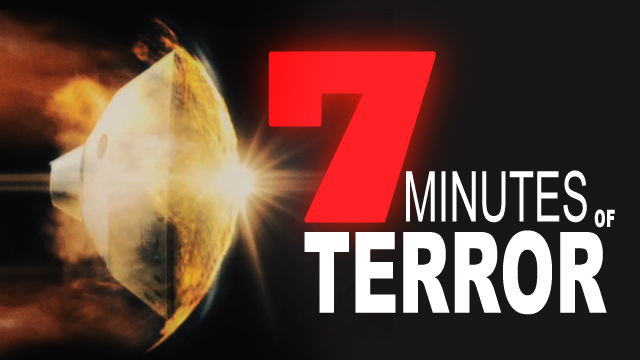 If you need something to tide you over until then, to get a taste of the suspense, watch JPL’s 7 Minutes of Terror video. It’s AWESOME. This event is my part of NASA’s Volunteer Solar System Ambassador program, and thanks to West Seattle Blog for publicizing the last few! Thanks ever so much to The Kenney for volunteering their space to do this, I hope a lot of their community comes too. If you can’t make it to mine, Museum of Flight is also hosting a landing-watch. Their event is called “Mars-Fest” and has lots more going on throughout the evening. Pacific Science Center Track for Earth and Space Science Achievement Discovery Corps youth will be hosting a “delayed-live” landing watch at 12:30pm on Monday, August 6th. This is for anyone who doesn’t want to stay up late to watch it. We’ll have a “real-time” video of the landing – with the animations, interviews, and waiting intact – and we’ll watch it together as if it is live. It’ll be just like a live landing watch, except the landing will already be done. Can we bring drinks/snacks, or is it a crumb-free zone? Well, I personally am HIGHLY allergic to nuts/peanuts so please avoid those if you don’t mind. Also my hubby is allergic to cheese/fake cheese/butter etc. So outside of that I think it’s okay as long as you are more-or-less clean about it. The Kenny has offered to provide tea and coffee.